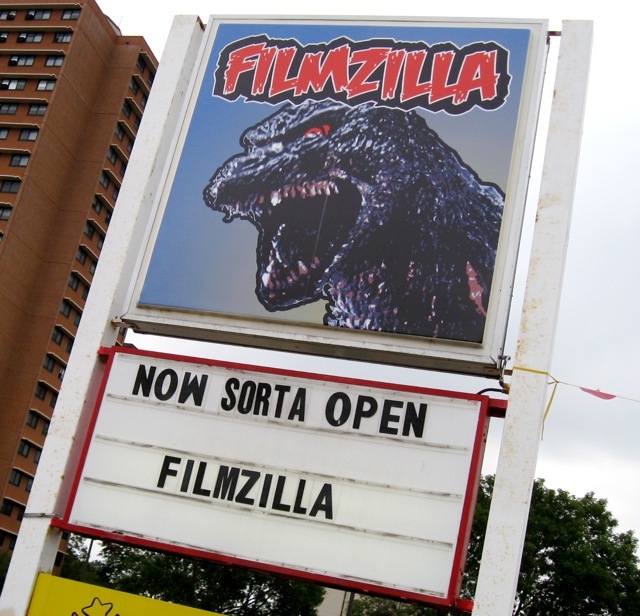 On the site of Chris Johansen’s Crown Video, the former Nicollet Village Video store has morphed into: FILMZILLA! This entry was posted in Uncategorized and tagged Business on July 31, 2010 by Peter Fleck. Thank goodness. Filmzilla is a multiple award winning rental store. They celebrate diversity, and despite what Michele Honderich (the neighborhood spoiler and hater of all things) says, They are a wonderful and intellectual contribution to the arts and to the Seward neighborhood! Free membership, 4 movies 4 days $5! That’s less than 34 cents a movie per day! with diversity, hard to find, and classics that netflix doesn’t/won’t have!In this economy, this is cheaper than netflix!Thank you Filmzilla, for your dedication to the cinema arts.